FREE Egg Ramp with Every Purchase over £10. Use the promo code: RAMP2016 at the checkout. 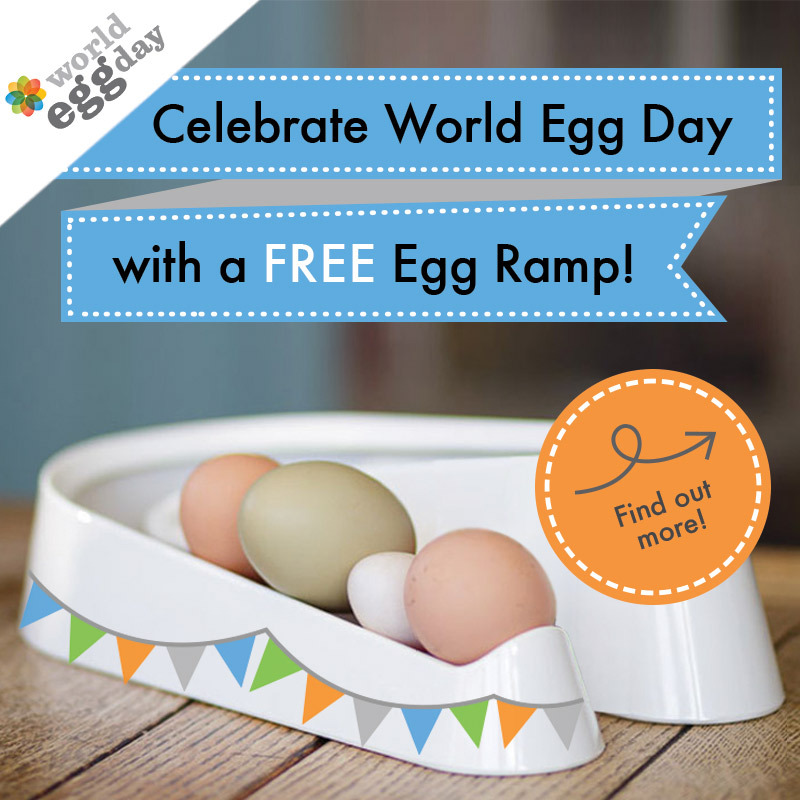 To celebrate World Egg Day we are offering you a Free Egg Ramp with any purchase over £10 in the Omlet store for one day only. Offer ends at midnight tonight (14/10/16) so make sure you don’t miss out. This modern egg holder will keep your eggs organised and at room temperature so they are always on hand for baking. Every time your hens lay a lovely egg, simply add it to the shiny melamine Egg Ramp™. When it comes to using them, always use the one at the front first, which will be the oldest – no more guesswork. At only 15cm deep it looks sleek and it won’t take up much space on your worktop. Terms and Conditions: You are only entitled to one free ramp per customer, Purchases must be over £10. Omlet reserves the right to withdraw the offer at any point. Colours of ramp will be selected at random. Codes may not be redeemed after 11.59pm 14/10/16.